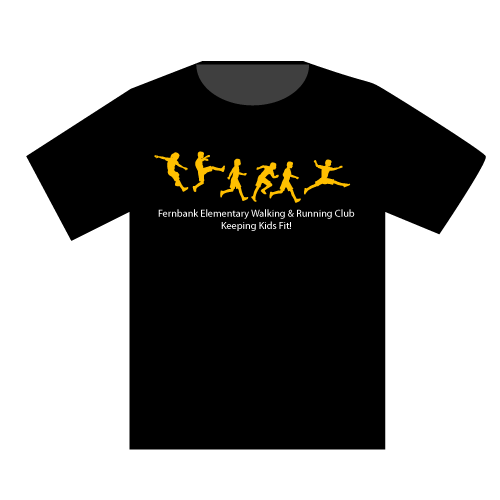 The Fernbank Walking/Running Club was started in 2007. The idea came out of our Wellness Committee and was designed to be a healthy after school activity open to the entire school community. We have participation from students, parents, teachers, and staff. We average 30-40 participants each day. The activity is available everyday Monday through Friday. We start the activity after school and walk/run for approximately 40 minutes each day. Each participant has a card which is updated each time they participate to reflect a running total of the number of laps completed. Five laps constitute a mile. At the end of the school year the total mileage is calculated for each participant. Each is given a tee shirt for completing a 50, 100, or 200 mile category. Last year we had 15 participants in the over 200 mile category.